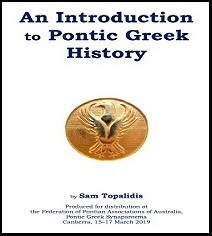 The following 50 page booklet contains a brief introduction to Pontic Greek history. The booklet is freely available for download. Livera (Gr: Λιβερά, today Yazlik) is a village in the Maçka region of Pontus. Prior to the exchange of populations, it had a population of 800-1,000 people who were all Christians. The village was divided into 3 parishes (Falena, Sagksenoy and Livera Proper). This paper summarises reputable information written in English on the relocation of Pontic Greeks since the 18th century from their homeland of Pontos and around the Black Sea to Greece and the Pontic Greek diaspora (sometimes via the former Soviet central Asian republics like Kazakhstan). 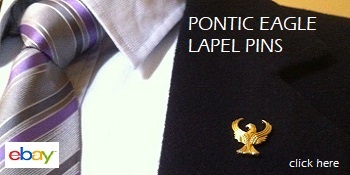 Australia's Pontian Greeks have been aboard an unstable ship for quite a number of years now. In the past, and in recent times, their leaders have squabbled over a number of issues, in many cases quite publicly. As a result, certain factions have developed which threaten to destabilize an already unsettled environment. Zeynep Başkan is a singer of Romeyka music from Turkey. 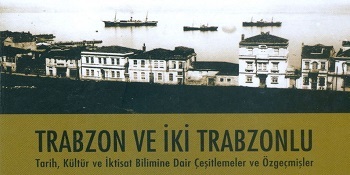 She was born in the Tonya province of Trabzon in 1984. She is the 22nd child of a 23-member family and developed an interest in music at a young age. After the fall of Byzantium (1453), Ottoman Greeks (Orthodox Christians) lived within the Ottoman Empire having the Ecumenical Patriarchate at Constantinople as their spiritual base. Ας ρίξουμε μια ματιά στον καθρέφτη πρώτα. Γράφει ο Βασίλης Θωμόπουλος, Βανκούβερ, Β.Κ. Μα τι θυμήθηκε τώρα ύστερα από τόσον καιρό! Σηκώθηκε ανήσυχος από τον καναπέ και κατευθύνθηκε στο δωμάτιό του. Ήξερε τι ζιτούσε και πού να το βρει. Σε ένα συρτάρι του γραφείου του είχε κρυμμένο έναν φάκελο. The Kotsari, Kotchari or Kochari, (Grk: Κότσαρι) is a popular dance amongst Pontic Greeks second only in popularity to the Serra. It was danced in the eastern regions of Pontus such as Argyroupolis, Bayburt and primarily by the Pontic people of Kars. The Monastery of Saint John Vazelon, otherwise known as Vazelon Monastery is the oldest monastery of Pontus and named in memory of Saint John the Forerunner (Gr: Αγίου Ιωάννου Προδρόμου).